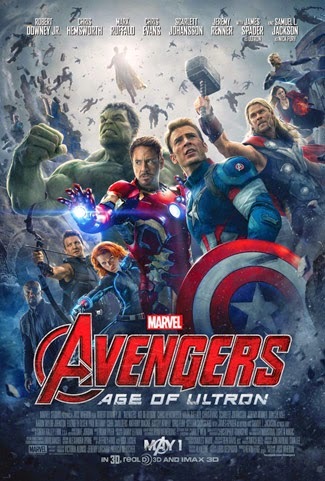 At the movies: Age of Ultron, it wasn't all gender issues (see Friday's post). It was also more of what you liked from the first Avengers film, introducing several new characters, and moving the larger Marvel movies arc forward while also telling a complete story. If we're talking weaknesses, they lie in the former. I found the Infinity War stuff mostly intrusive and am already sick of the infinity gems showing up and getting their flash-tos every "episode". Probably because I have no love for, or interest in, the original Gauntlet stories. The time spent on that would have been used to buff up Ultron's characterization, as I don't think his Oedipal complex or screwy apocalyptic logic were set up very well. Murderbot shows up, is crazy, destroys stuff. Obviously, there's a lot more to it, but it sometimes felt like there were missing scenes where Ultron came to certain realizations. I'm also a little disappointed at how they changed (read: made generic) the Scarlet Witch's powers, but I understand it. The movie does a lot of things very well, however. Joss Whedon seems to understand the comic book format very well, and adapts not just the characters and story to the big screen, but the source medium's quirks as well. He knows how to isolate action moments, as if they were in separate panels. He uses slow motion to create living tableaux, or "splash pages". And he understands what made Marvel great, i.e. the mix of epic and mundane - of big super-powered fights and quiet character moments - the angst of the reformed monsters trying to do the right thing, and the sheer joy of working within a shared universe (there are a LOT of cameos and guest-stars in this one). And he understands how team books work. The focus is definitely on the Avengers who don't have their own movies, with Hawkeye finally coming across as a real person (and though his back story is entirely different, as an echo of the character I love from the comics). Whedon obviously brings his patented writing technique to bear, a technique best expressed by Quicksilver's quip "You didn't see that coming? ", which usually manages to surprise, shock and/or delight. Especially important for old dogs like me who know where things are going because they know their comics lore. And of course, it looks awesome. 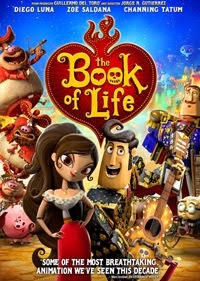 DVDs: The Book of Life is a rather baroque animated film about a love triangle and set in a world where Mexican mythology and folklore are real. And when I say baroque, I mean it. The colors and designs are frightfully colorful and often extreme, in keeping with the Mexican aesthetic. There's a frame tale with delinquent kids getting taught a lesson at a museum, which turns the characters in the story into toys animated in the kids' minds. It's often funny, action-filled, sometimes quite dark (as the Day of the Dead and the Mexican underworld play a big part), and it's a musical to boot! A Moulin Rouge type of musical that uses well-known songs in new and clever contexts! There's a LOT going on. A bit of a shock to the system early in Act I, once you get into it, it's quite a charming picture. Perhaps not as great as it might have been if it had a strong original soundtrack, but still full of originality. 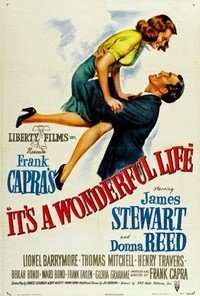 Can you believe I'd never seen It's a Wonderful Life? It just wasn't ever part of our Christmas traditions. But that's what my i-MUST-CheckMovies project is for. Wow. I was actually missing something, and here I thought I'd know every beat thanks to countless parodies and homages. Somehow, I thought we'd spend most of the film with George and Clarence walking around a Georgeless universe, but I realize that wouldn't have made any sense. We need to know what he's leaving behind, and who would suffer from his loss. It's the story of a man who only thinks he's screwed up his life, who doesn't give the right weight to the life he's had. And while we know his downfall is inevitable, one wonders how it'll happen, because for all his dashed ambitions, George has it pretty good. I really want to see more Frank Capra films now, as I quite like this kind of optimistic story telling (heck, he doesn't even feel the need to punish his villain!). Optimism isn't cheesy (though the ending perhaps crosses into dairy product), not when it's contrasted with despair. This is, after all, a story in which a man contemplates suicide. And if it were just a Scrooge-like time travel/what if fantasy with a hopeful message, I'm sure I would have enjoyed it. Why would I want to see it again? Because the script is so damn witty and sharp! Entertaining, charming, touching, yep, need to watch it next Christmas. Now, I'd seen Mary Poppins when I was a kid, but revisiting it just after It's a Wonderful Life draws a heck of a lot of connections between the two! Both are optimistic fantasies about frustrated bankers, where a wingless angel comes down from the sky to fix their problems, after all. And with my head full of Doctor Who, it's so hard not to see Mary as a Time Lady, with her bag that's bigger on the inside, and an obvious former companion in Bert (and the house staff keeps going on about the Master!). It's a piece of whimsy, to be sure, with plenty of memorable songs, crazy effects (some I don't even know how they could be achieved in 1964, plenty of expert roto-scoping, I expect) and laugh-out-loud moments. The wit is positively Wildean at times! The whimsy is for the kids, but the adults will recognize that it's about saving the father's soul, and in a sense, society's. One of the keys is the mom participating in the Suffragette movement, but not being quite so liberated in attitude. It's 1910, we're on the cusp of social change, and there's something symbolic in a woman upending a patriarchal world, imposing her rule, and changing the family's values. Has anyone written a thesis called "Mary Poppins and the End of the British Empire" yet? 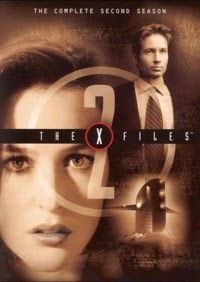 If you want to know what I thought of X-Files Season 2, you need only look through the past month's worth of daily reviews, of course (kind of drags its feet at the end of the season, but they use Gillian Anderson's pregnancy and absence at the start to interesting effect; only Season 2 and they're daring to play with the format and tone, that's a good thing). As for the DVD set itself, as I've mentioned before, I've got the little-frills collection, so there aren't a whole lot of extras. Pretty much all you get is a few deleted scenes and behind the scenes clips, but annoyingly, they're imbedded in the episode, so you must have the feature enabled (which disables subtitles) and press ENTER when you see an X in the corner of the screen. There's no other way. At least the feature tells you around which sequence this would be located, so you can scan to the right spot. As of Season 3, I'm checking first and always running the episode with the feature enabled. Improv/Games: A month ago, at the improv qualifiers, I smoked my good friend Torn at a Doctor Who trivia challenge. We both knew it wouldn't be a fair fight, so I'm not really boasting about the 16 to 1 victory. As part of the stunt, Torn ended the geek-off with another challenge - that he could beat me fair and square at STAR TREK trivia, and that we would square off during the provincial improv tournament. That was last weekend, and after the all-stars match which we both coached, we met in the cafeteria before a small group of curious onlookers, and did just that. 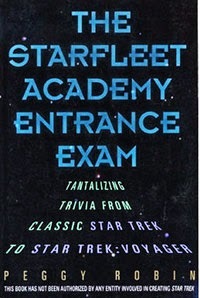 We used the old Starfleet Academy Entrance Exams from 1996, and I'd made cards with categories on them matched to each chapter. Our quizmaster Miguel read out the questions, our only choice whether we wanted one from TOS or one from TNG. Now, Torn is the guy who owns a Starfleet uniform and has a van with NCC-1701 written on the side, but have you READ the first three years of this blog? He may be a super-fan, but I've just got a head for trivia. 8-1 sucka! I shan't need to prove myself this way again, I hope. "I'm also a little disappointed at how they changed (read: made generic) the Scarlet Witch's powers, but I understand it." Not even comic book writers have reached a consensus on what hex bolts can do. Weird how they basically turned the Scarlet Witch into Jean Grey. One slightly different line of dialogue would have left Wanda closer to her comics form--rather than going into telekinesis and whatnot, just say "She makes things go wrong, we're still trying to figure out how." That way it's "Maybe magic, maybe (relatively) mundane." Agree with you on a lack of interest in the Gauntlet overall, but if you need a McGuffin to tie stuff together it's a pretty good one. But I'd rather see Kang and Immortus. Given a rather distinct lack of magic in the MCU so far, I'm starting to get curious about how they're going to handle Doctor Strange. À la Thor/Loki? Like, the Eye of Agammotto is run by an infinity gem? I think they'll go full-on magic for Dr. Strange. They've already hinted at the supernatural with the Hand in Daredevil. Plus they'd be hard-pressed to do Iron Fist without the mystical components. Siskoid, have you watched Bednobs and Broomsticks? 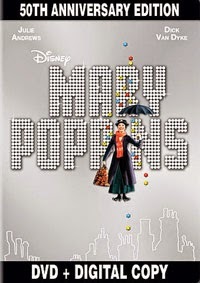 If you like Mary Poppins it's practically a sister film to it. Same era, types of effects and fun story. Never heard of it, but I'll certainly look into it!